If you're driving a five- or six-year old vehicle, you might find the cars in today's showrooms virtually unrecognizable -- at least from a technological standpoint. Today, most every entry-level car offers big, colorful touch screens, voice-controlled navigation, and adaptive cruise control that can speed up and slow the car along with the flow of freeway traffic. That, however, is just the beginning of what cars will soon offer. Now that automakers have mastered smartphone-to-car connectivity, they're eager to leverage the tech inside the smart devices we've come to rely upon. From what we saw at the 2015 International Consumer Electronic Show, smart devices are the new frontier. Namely, the world's leading automakers are not only bringing smartphones, tablets, and smartwatches into car cabins but also using them to enhance vehicle ownership. 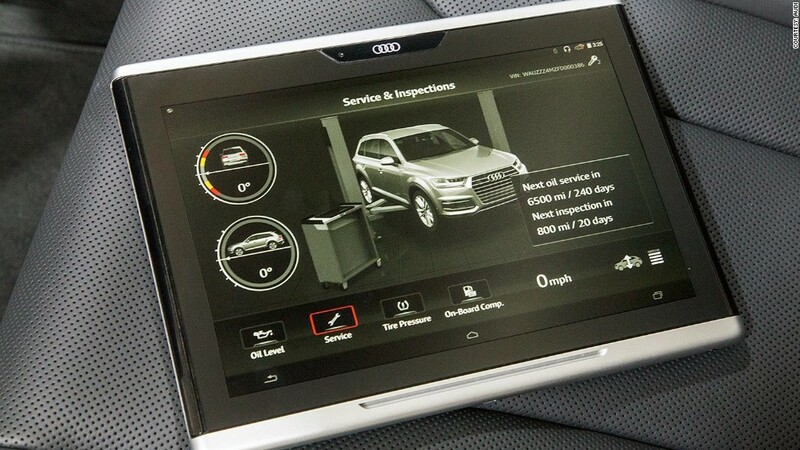 Audi unveiled a tablet -- aptly called 'Audi Tablet' -- that takes the in-dash infotainment screen and puts it into the hands of passengers for a more natural, comfortable and versatile connection with the vehicle. 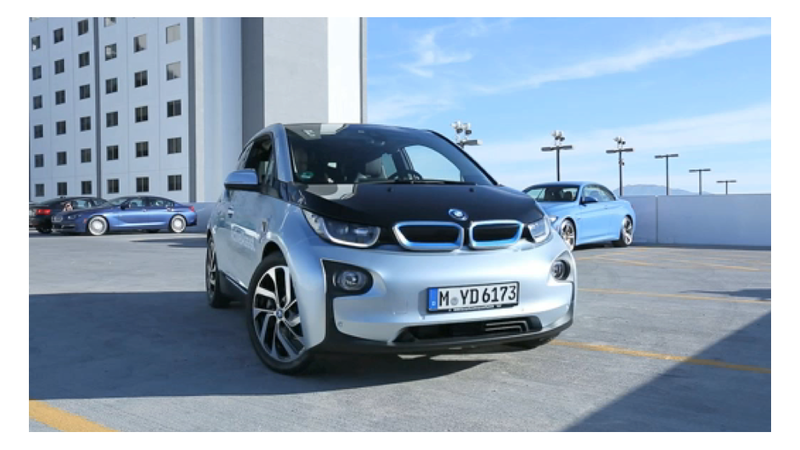 BMW sees smartwatches benefiting drivers in the near future. For example, your car will communicate with your smartphone's digital calendar to recommend and enhance navigation route guidance. In some 2016 models, Chevrolet will use its onboard 4G LTE Wi-Fi and OnStar RemoteLink smartphone app to alert owners if their vehicle is prone to breakdown and also help schedule a checkup at the dealer, saving the driver the anguish and frustration of being stranded on the side of the road. It's a huge transformation, and it's just the beginning: Other automakers detailed technology that will affect cars 5 to 10 years down the road. Ford (F), for example, has been testing ways to use the radar sensors and digital cameras already embedded around the exterior of many of its current models to constantly map open parking spots in some of the world's most populous cities. This information would be constantly fed into the cloud and down into various parking apps making finding a spot a cinch. Stepping further into the future, Mercedes-Benz unveiled a wild concept vehicle, called F 015, which indicates what the future might hold once self-driving or "piloted" cars take hold. Once cars drive themselves, the exterior and -- more significantly -- the interior of cars will be transformed, making them far more lounge-like. Who needs a driver's seat, when you're not driving? And for that matter, who needs a driver's license at all? Not all carmakers displayed a wild, piloted-driving future at CES, though. Audi, for example, drove its piloted A7 (named "Jack") more than 550 miles from Palo Alto, California to Las Vegas, Nevada -- all without driver intervention. And it's even promised to offer a self-driving model within the next two years. Of all the mind-boggling future car tech shown at CES 2015, we saw a clear pattern emerging. In the next few years, smart devices will make car ownership easier and more enjoyable than ever before. Once self-driving cars take over the responsibility of driving, those same tablets and smartphones will devolve back into pure entertainment tools, as occupants will be able to sit back and relax during their daily commute. In the future, it seems, we'll all be passengers. What Will Future Wearables Look like?